96 days. That’s how long it took to bring my family of 5 together under the same roof. Our twins, Harper and Paige, were born at St. Elizabeth Health Center in Youngstown last November at just 25 weeks and 5 days. 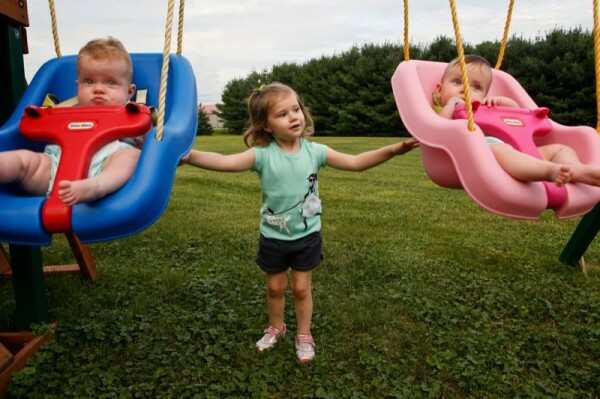 Both girls weighed a little more than a pound, and they were immediately transported to Akron Children’s neonatal intensive care unit (NICU) at St. Elizabeth’s. For the next 76 days, our routine consisted of watching over our new ones in the NICU while ensuring we kept life as normal as possible for our then 2-year-old daughter, Aubrey. The care our family received from the NICU staff was phenomenal. Everyone was always great, and the support and care they provided were tremendous. And we would need it, because at 3 weeks old, Paige was transported to the NICU on the Akron campus as a precautionary measure. For the next 3 weeks, my husband and I split our time among 3 locations to be with Paige, Harper and Aubrey. We celebrated Christmas in 3 different places. We rotated days to visit our girls. We felt like we were going on auto pilot. But, we did so with reassured hearts, because we knew from watching both NICU teams that they genuinely cared for our girls, just like they were their own. We were more than patients to them – we were family. Each day, our girls grew healthier and stronger, and Paige was in the clear. When we hit the 77-day mark, the girls were stable enough to be sent to the special care nursery at Akron Children’s Beeghly campus. On Valentine’s Day, our girls came home. I can’t begin to describe how great it was to have everyone together. It felt like we could finally be a family. We had follow-ups with cardiology, and both girls attended occupational and physical therapy. We’re very fortunate because there could have been some very severe outcomes from this. But in the end, everyone concluded that they were healthy girls – they just need to grow. Today, life is a juggling act. But it’s phenomenal. The girls are growing by leaps and bounds, with their big personalities shining through. Paige is my wild one – my firecracker. She’s rolling all over and has advanced far ahead of where she should for being a micro-preemie. 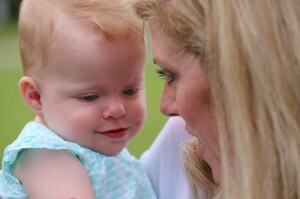 Harper has the sweetest little disposition imaginable. She brightens up an entire room. And Aubrey, she’s enjoying helping, playing and being the big sister. Having this experience makes us realize what’s really important. Suddenly those things that used to bother you don’t matter so much anymore. The NICU changes you. We feel such a strong connection with teams at the NICU and the Special Care Nursery. We’ll forever be grateful for their kindness, compassion and genuine care that they gave our girls and our whole family. Hear more about Harper and Paige’s story – and those of other patients in the Mahoning Valley – by tuning in to the 6th annual Miracles and Promises Radiothon, broadcast live from Akron Children’s Beeghly campus on Mix 98.9 or 570 WKBN Sept. 17 – 19. Click here to support the Miracles and Promises Radiothon.